Best handyman in town. hands down! Awesome service, mrs walked through the door at 7pm to find the roof leaking and taps burst in the ceiling, whole lounge and kitchen flooded. Guys were here in less than ten minutes and couldn't do enough to help us out. It's almost like they broke the pipe and waited around the corner they were here that fast 🙂 haha. Thanks taps legends!! If you need something now and want to pay later that is no problem! Ask us about our payment plan options and we can tailor something to suit you. Make sure you always reference your invoice number when making direct deposits. We are here for you 24/7 in an emergency. Leave a message on 0487 207 510 we listen to them all and return urgent calls straight away. If you don’t need something urgently one of our friendly team members will be in contact to book in a time that works around your schedule. I have a query about my invoice ? 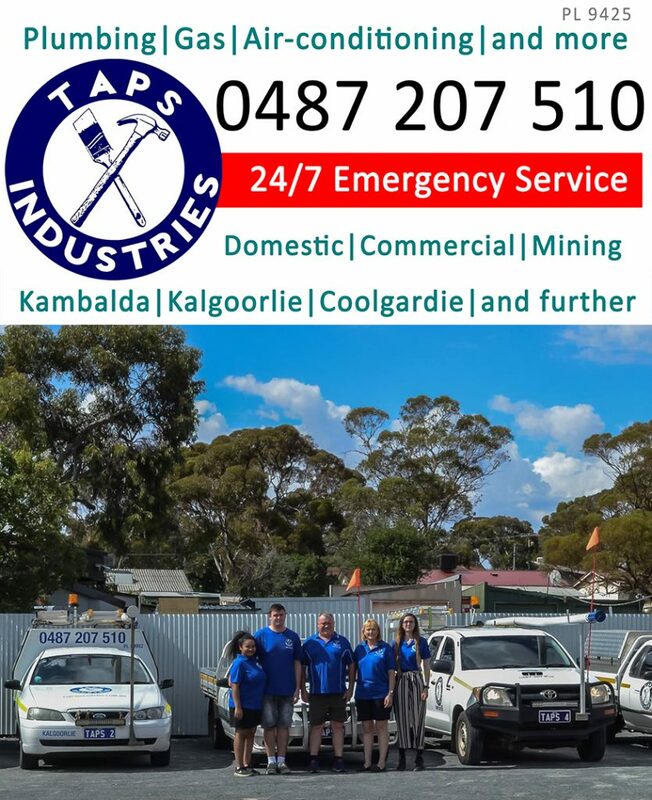 TAPS started in Kambalda and that is still our main home base, however we go much further nowadays. We service other areas less regularly but still quite often, ask us when the next visit is planned to book in your own work while we’re there! Don’t see your town? Contact us to see if we go there too! We will investigate any potential issue thouroughly and get back to you ASAP with a solution that suits all parties. Unfortunately from time to time we make mistakes, we are all human so please give us the chance to make it right! If you have any feedback about our staff or work please get in touch, we love hearing the good stuff but can’t improve if we don’t hear the bad.